Why Hasn’t Evolution Invented the Wheel? Here is a very insightful question you should ask yourself, why hasn’t natural evolution invented the wheel? The reason why this is insightful is because it reveals to us the distinct difference between natural evolutionary innovation and human technological innovation. It is easy to recognize the similarities between evolution and technological innovation, but many times we overlook the differences. We should seek to understand both aspects and in so doing gain a deeper and richer understanding on how to build future more advanced robust and sustainable organic systems. Despite the rich diversity found in biology we find only a single instance of a wheel that has been invented. The one instance found of a rotary system can be found in Flagellum. There are also instances of species that roll around like a ball (i.e. tumbleweeds, armadillos). The wheel however needs to move frictionlessly around its axis, in other words it isn’t physically attached to its body. Shells however are examples of hardened structures that are grown biologically and eventually become detachable. Biological evolution requires wheels to be useful for fitness to begin with. Then it incrementally evolves to improve that wheel. This would therefore require that a wheel is from the very beginning detached and that there is an environment that encourages the growth of a much larger wheel with an objective towards perfect symmetry. Biological evolution doesn’t invent a wheel because there exists no physical environment that demands a wheel for its inhabitants. 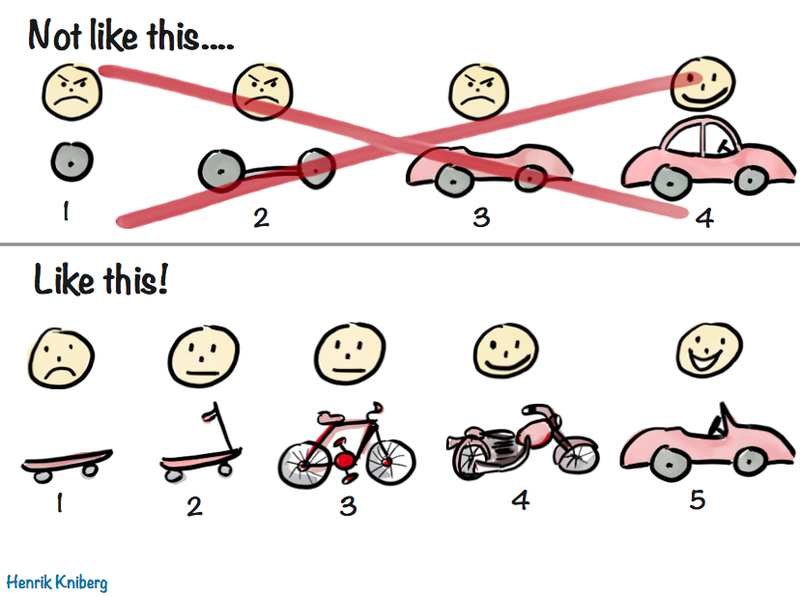 From the perspective of agile development, there aren’t any users that need a wheel. The inability of biology to invent the wheel or said from a different perspective, the lack of usefulness of the wheel in biology reveals to us the difference in innovation abilities of natural evolution versus technological innovation. Technological innovation is driven by design in virtual space, while natural evolution is constrained by the limits of physical space. The evolution of the wheel co-evolves with the evolution of roads. 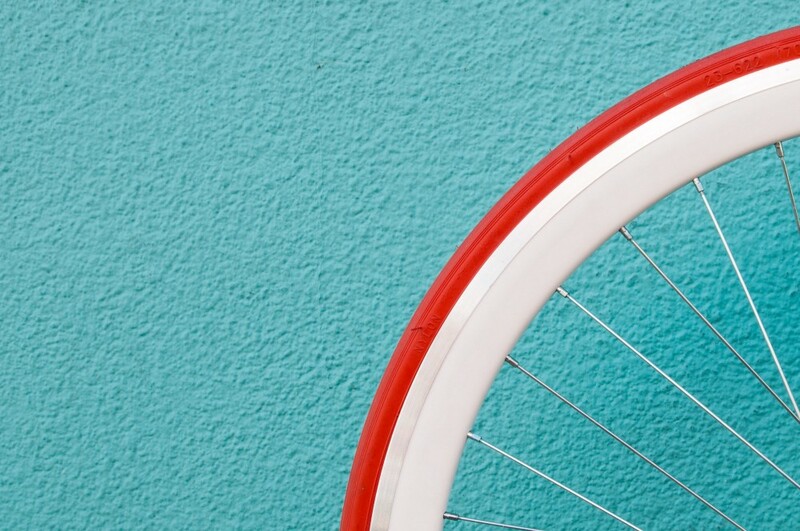 Wheels are useful because humans have constructed the environment where it is useful. What makes technological innovation efficient is also what makes it less robust. The smallest cell has evolved to pursue survival in its environment. Actually, more accurate and correct is that it has evolved to pursue survival of the community that it belongs to. According to Richard Dawkins, it is the gene that is selfish, and not the actual organism. We see this collective and altruistic survival behavior is ubiquitous, we can find examples in bacteria, in bees and in the behavior of cells that are part of a multi-cellular being like us. This is a consequence of specialization. In complex biological systems that consist of the composition of collections on nano-intelligent biological agents, effective functioning of the collection requires specialization of the capabilities of its constituents. We can make the analogy with human societies. In a small hunter-gatherer tribe their is already some specialization between the men and women of the tribe. This specialization increases once civilization emerges. In civilization, not everyone is a farmer (the producer of food). But rather, through the invention of commerce, human specialization becomes a sustainable activity. Money becomes that decentralized coordination mechanism that allows more efficient markets and leads to the viability of specialized roles. Money is a purely informational and abstract thing that binds present day human civilization together. It’s not very romantic, but it’s the unfortunately true. Actually, if we explore the origin of money, we begin to realize that it has its origins in the concept of debt. Debt is in fact an informational thing that codifies ongoing human relationships. In fact, most religions revolve around the concept of debt. The key message about religion revolves around paying one’s debt or about freeing oneself of debt. The difference between religions aligns with the dimension of centralization versus decentralization. There is monotheism on the centralized end and there is panpsychism on the decentralized end. Centralization demands conformity, decentralization demands diversity. We expected that maybe 5 percent of the genes would be of unknown function. We weren’t ready for 30 percent. I would have lost a very big bet. Contrast this rugged individualism of cells with the brittle dependency of human invention. A car is a good example that exposes the brittleness of human technology. The car needs energy to be of any use. To get that energy (i.e. fuel) it needs to be accessed from a vending point (i.e. a fuel station). That vending point isn’t an unlimited source of fuel, but rather a deposit that must be continually refreshed through a complex supply chain. That supply chain consists of gasoline container trucks that redistribute fuel from much larger depots. These depots hold gasoline which is a byproduct of crude oil. The inputs of this system come from oil refineries that process crude oil into useable fuel. Crude oil is delivered in container ships from the many sources around the world. Crude oil is extracted from the ground in oil fields consisting of many wells. So for a car to get its fuel, there is a massive complex supply chain that needs to exist. A biological cell has its own fuel manufacturing capabilities that can take raw material and convert it to useable fuel. The entire fuel refinement process is contained in a single cell. Biology is massively decentralized, every cell has a high degree of energy autonomy. Because there is no-shared infrastructure, every component in a decentralized system requires its own infrastructure. Biology makes the trade of for robustness over global efficiency. This trade-off however has one very important side-effect, that is, it is more sustainable. Natural evolution makes progress by solving environmental challenges in an incremental manner. Technological innovation by contrast is able to ignore the physical environment to create more efficient solutions. These solutions, like the wheel, include the re-invention of the physical environment. The wheel’s efficiency and robustness is a consequence of the existence of flat roads. However, by ignoring (or being unaware of) existing constraints, human designs create solutions that can be hopelessly broken in unexpected scenarios. All Human technology is brittle to black swan events. This inability to design systems in an organic manner has lead to the intractable complexity and rigidness of existing information technology (IT). Large organizations, such as nation states and militaries, are burdened with antiquated and inflexible IT systems. The operating systems that are run in our computers and hand-held devices are exposed to an ever increasing number of vulnerabilities. IT infrastructure is crumbling as we speak and is in need of a complete overhaul. Unfortunately, the form of that overhaul is beyond present day imagination. Human technology is intrinsically simply not structured to invent designs that adaptively react to the complexities of an ever increasing complex environment. What is desperately needed is technology that supports organic intelligence. Fortunately, we are seeing the primordial emergence of such a technology. This technology is known as Deep Learning.